As a member of the RIT community you'll receive a well-balanced benefits package that offers a variety of choices and access to additional employment advantages. These benefits, combined with your pay, provide a total compensation package that can be tailored to meet your needs. Employees, the employee's spouse or domestic partner, and children up to the age of 26 are eligible for health care coverage at RIT. Eligible RIT faculty and staff can save for their retirement by contributing to the RIT Retirement Savings Plan, a 403(b) plan. RIT goes to great lengths to maintain a plan that allows its employees to properly prepare themselves for a comfortable, dignified retirement. For more information about the Plan and how to contribute, visit the links below. RIT provides an array of options for RIT employees to select from-consider it income protection your family values. As noted, some of these documents are provided by RIT’s insurer, Prudential. RIT provides opportunities for you to find the time... for yourself. 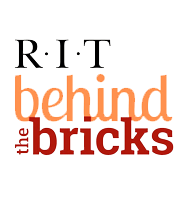 RIT's educational benefits consist of five programs. Each of these programs are described in this section, together with the general tax consequences of each. The education benefits help you and family members fund a quality education. View these options for career and life enhancements. Information about your right to apply for medical coverage. Information about how some of RIT's employee benefit plans may use and disclose Protected Health Information. Information about nondiscrimination under health plans under Section 1557 of the Affordable Care Act (ACA), including language translation assistance.